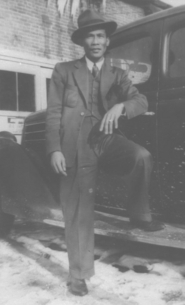 Lloyd Pementil was a farm worker who would work a 12 hour shift, then come back to the labor camp, take a long shower, and come out wearing a 3-piece suit, fedora and two-tone shoes. He would gather the children and play music for them until bedtime. Then he would take his own beloved children and sing them to sleep playing "You Are My Sunshine." To me he was a a hero, a man of great personal dignity, love and joy who took care of the children and brought smiles to everyone around him. He didn't have the resources of an Albert Einstein, or the voice of Martin Luther King, but in doing everything you can to make this world a better place he was every bit their equal. The Incredible Story of "You Are My Sunshine" is below . . .
Excerpt from "Steinbeck and Sounds of the Filipino American Experience" prepared for the Exhibition "Filipino Voices Past and Present" Presented by the National Steinbeck Center in 2012. And the Incredible Story of "You Are My Sunshine"
I was listening to the oral history of Mrs. Burnette Riley, daughter of Lazaro (Lloyd) Pementil. 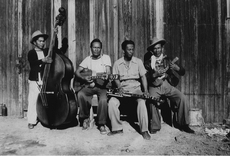 She mentioned that her father hired out as a musician when he was not doing labor in the fields around Salinas. The short-handled hoe was his instrument in the fields. 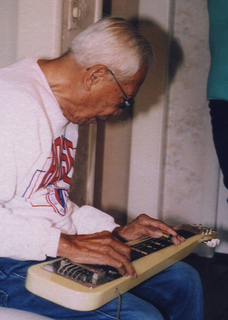 Once home, he would play guitar, violin, double bass, ukulele or mandolin—anything with strings on it. Lloyd and his wife Edna (Janke) Pemintel “loved singing along with Gene Autry whenever they heard him sing on the radio.” He was self-taught, and his four-piece band would learn songs by going to the Republic Café and other places with juke boxes, feeding the machines nickels until they had learned a particular song. The band played Hawaiian music, western “country music” songs, and Filipino folk music. Living in a labor camp with his family, Lloyd would come home from work and take a long shower. When he came out of the shower house he’d be sporting a three-piece suit, a fedora worn handsomely to the side, and two-tone shoes shined brightly. He looked good, and he had a big smile on his face because now was the time for him with his favorite girl in the whole world—daughter Burnette. Burnette is a loving, sweet woman these many decades later. And she loves her Daddy with her whole heart. Many think of these camps as poor, desperate places. Not so the case with Burnette. She remembers playing tennis, softball, field hockey, badminton, and basketball in school. There was the rodeo with its carnivals and parades when her cousins would visit from the San Joaquin Valley. They would go the beach, or the Republic Café in Chinatown on Saturday or Sunday family outings. Her wedding reception was at the Republic Café in 1963. A devout Catholic, she was wed in Carson City, Nevada, however, because mixed-race marriages were illegal in California at that time. Can’t you just see Burnette’s father singing to his baby girl, both smiling, Burnette settling in to the warmth of her father’s love? 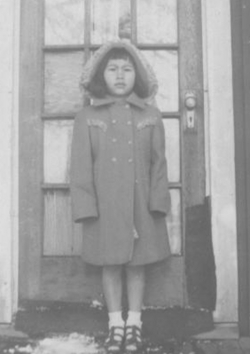 A few days before I finished this manuscript, Burnette found two records her father had recorded in Chinatown in 1950. There was a kind of novelty recording studio there, where for a few cents people could record anything they wanted for a few minutes. The recording machine took the sound and put it in a needle that scratched the sound into a record as the music was played. Much of the coating that was on the records had flaked off through the years, but we were able to recover a bit of the Hawaiian/Blues type music he and a friend played. As you would expect, it is very sweet. I sent the recording to Burnette to send to the family. Burnette’s Mom (Edna) grew up in Napoleon, North Dakota in a German/Scandinavian farm town. A conservative place, rife with the prejudices of the day, she was brave to marry Lazaro in a time when intermarriage was not only illegal but cause for all kinds of nastiness. Apparently Edna’s Dad, Burnette’s grandfather, could be particularly nasty, especially after drinking. 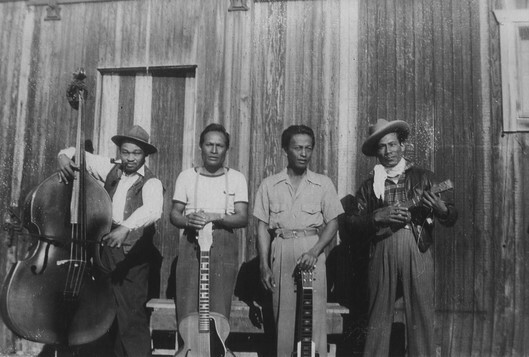 Imagine Filipino musicians coming to the town in the ’40’s. Burnette’s Aunt Velda remembers it well, and wrote to tell Burnette after she received the recording. Project © October 3, 1998. From the archives of Alex Fabros. MRS. C. C. MORALES, well known civic and social leader among Filipinos in Salinas Valley, left for the Philippines on board the S. S. Tatsuta Maru which lifted anchor in San Francisco Saturday morning, July 20. With her is her son, Clemente, Jr.
Before her sailing, MRS. MORALES expressed her regret she could not see the Colmo del Rodeo pageantry which a Filipino float was entered. She devoted much of her time in helping the community raise the fund necessary for making of the artistic float. On July 18, a farewell party was tendered in her honor by members of the Shangri-La. This party was initiated by Mr. And Mrs. M. R. Galicia. Songs and speeches featured the after-dinner program held under the shady trees. Val Arellano acted as the impromptu toastmaster and called on following: Frances La Verne sang "[You Are My] Sunshine"; little Lily Malvas sang that Kundiman "Pacing"; Helen Filomero gave another vocal solo, and the speeches of Mrs. B. R. Sampayan, and Mr. Galicia who all wished MRS. MORALES and her son a bon voyage. In the evening of July 17, the Filipino Women's Club gave a party in her honor at the Community Centre. Two days ago, M. G. Collado sent a cablegram to MRS. MORALES wishing her a pleasant trip on behalf of the community. 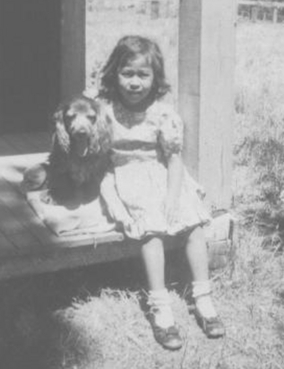 A picnic was held at "Shangrila" (ranch of Andy Madalora) honoring the departure of Mrs. Paulino MORALES, and her son, Clemente, Jr., for the Philippines in 1940. 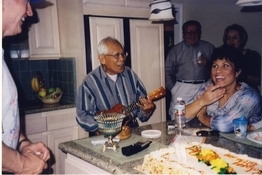 MRS. MORALES was very well known in social and civic circles in California during her time as President of the Filipino Women's Club of Monterey County. Her husband, CLEMENTE MORALES, Sr., ranking labor contractor of Salinas is indeed happy to learn that MRS. MORALES is safe in Mindanao as one of the few Filipino women guerilla leaders in that region. His only grief is the unknown whereabouts of his son Clemente, Jr., who was attending a Military school for boys in Mindanao when the war broke out. MRS. MORALES according to report went to Mindanao for a business trip and was not able to return to Manila when the Japs attacked the Philippines. Bataan Death March Survivor in Japanese Prison Camp. The American and Allied survivors of the Bataan Death March were imprisoned at Cabanatuan. They were rescued in one of the great operations of U.S. military and Filipino American History. The Alamo Scouts were the special reconnaissance unit of the U.S. Sixth Army. From a simple advance reconnaissance unit, the Alamo Scouts became a sophisticated unit in the Philippines. [Approximately thirty] of the 1st Filipino Regiment soldiers recruited for covert operations were assigned to the Alamo Scouts. They conducted fifty-four reconnaissance and intelligence-gathering missions and supplying and coordinating large-scale guerrilla operations on Leyte and Luzon. From their first operational mission in the Admiralty Islands in February 1944 to the end of World War II, the Alamo Scouts performed 106 known missions behind enemy lines without losing a single man, killed or captured. The Scouts are now recognized as forerunners of modern U.S. Army Special Forces. The guerrillas acted as the eyes of the raiding force to guide it through the brush and as its ears to be on the alert for any surprise flanking movement by the enemy. They constructed roadblocks at the northeast and southwest approaches to the stockade to hold up hostile reinforcements and also arranged for food caches so that the liberated prisoners could be fed at convenient points along the return route. The attack was launched on the night of January 30, 1945. Within thirty minutes the entire Japanese garrison had been wiped out and the last prisoner removed from the prison area. The Rangers' return was covered by a guerrilla delaying action that successfully fought off approximately eight hundred enemy reinforcements sent to assault the strategically placed roadblocks. Meanwhile the litter patients from the camp were transported by guerrilla-organized carabao [a farm animal similar to an ox] cart train to Sibul Springs [loss of these animals could make farming impossible thereby risking starvation], whence they were evacuated to a hospital at Guimba. The raid at Cabanatuan was the most complex operation that Rangers conducted during World War II. It remains as the greatest rescue mission in U.S. military history. Afraid that the Japanese will execute the remaining prisoners, if they hear of a rescue attempt, General Walter Krueger plans a surprise rescue. He assigns the job to Lieutenant Colonel Henry Mucci (commanding officer of the 6th Ranger Battalion.) The group was originally assigned to remote mountains, carrying howitzers that broke down, and was known as the 98th Field Artillery Battalion. Colonel Mucci assigned this mission to his C Company under the command of Robert Prince. Mucci, or “little MacArthur” as his men called him, told the soldiers, “ I only want those of you that feel lucky.” The rangers looked around and not one dropped out. The mission was kept highly secret, known only by General Krueger and his G-2 or government intelligence people. The soldiers wore inconspicuous clothes with no military markings and no heavy helmets since they were to be traveling thirty miles on foot both directions. There were probably less than thirty Filipinos who were assigned to the Alamo Scouts during World War II. They were mostly assigned because of their knowledge of several Filipino dialects. The majority of Filipinos recruited out of the 1st and 2nd Filipino Infantry Regiments were sent to the 1st Reconnaissance Battalion (Special) in Australia, where they were assigned to the Allied Intelligence Bureau, Philippines Section. They were sent into the Philippines via submarine to establish radio communications between the major guerrilla factions and Australia. One individual…who participated in this raid…makes the claim that the Alamo Scouts were instrumental in conducting this raid. This was a 6th Ranger Battalion operation from the beginning and was commanded and led by the 6th Ranger Battalion. To attribute the success of this raid to the Alamo Scouts would be a major factual error. There were only three Filipinos assigned to the Alamo Scout unit that supported this raid. Local resistance and guerilla fighters, however, played a big role. To carry the wounded ex-prisoners they had to sacrifice the farm animals that were essential to feeding their families. Already desperately poor after years of war, they nevertheless made this sacrifice to save Americans. “You Are My Sunshine” was played so much in the days after the war it became the unofficial anthem of the Philippines in the three years between VE Day and its Independence, ending over four hundred years as a colony of an occupying superpower. Mayor George Taylor Will Be Guest of Honor at Dance to be Held at Armory. Gigantic and elaborate preparations for the celebration of the forthcoming Philippine Independence Day on July 4th are being made by all Filipino communities in the continental United States and in the Territory of Hawaii. Leaders of these communities, especially those in the Pacific Slope, in compliance with the recent instruction from the office of the Resident Commissioner, are busy mobilizing their powers and resources for the celebration of this most significant moment in the lives of the eighteen million Filipinos, who for centuries have clamored, strove and fought for freedom. On July 4th, through the operations of the Tydings-McDuffy Law passed by Congress in 1934, the war-ravaged Philippines will take her place among the happy independent nations of the world. As outward demonstrations of their overflowing gratitude toward the United States for her unselfish efforts in helping them prepare for their independence and of their overwhelming determinations to face the uncertainties of the coming Atomic era, Filipinos everywhere are staging all-day and all night affairs of unprecedented rejoicing. For centuries, these bolo wielding Filipinos have incessantly struggled for freedom—they rebelled against Spain and undermined the efficiency of the Japanese Occupation. Washington, Chicago, New York, Brooklyn, Philadelphia, Boston, Kansas, St. Louis, Detroit, New Orleans, Denver, Salt Lake City and Phoenix Filipinos will celebrate the event with banquets, dances, programs, etc. Greetings to Filipino communities in the United States. Independence Day challenge to do our best and utmost to dedicate ourselves, make success of freedom, justify faith of America, and contribute our share to world during the community's frolics. And even up there in far north Alaska where thousands of Filipinos are busy canning salmon this day will be also their off day for fun and whoopee. In Tacoma, Wapato and Portland and other towns where Pinoys are located will assemble for a 24 hour rejoicing. Filipinos living in northern and central California will stage shows and entertainments that have the earmarks outstanding. In Stockton, an expected mammoth parade of all the existing fraternal and sectional organizations will take place. The Legionarios del Trabajo, headed by their Grand Delegate F. M. Esteban, the Caballeros de Dimas Alang with Grand Master C. T. Alfafara, the Filipino Federation of America with Acting President E. C. Pecaon, the Filipino Community Prexy Teofilo Suarez and scores of other associations will parade through the downtown streets of "Little Manila." Floats and bands entered by different American and Filipino groups will add to the color of the Fiesta. In San Francisco and in Oakland, plans have been already perfected to stage big and colorful banquets and dances in the cities' largest halls. Those in Delano, Reedley, Porterville, Sacramento, Marysville, Santa Maria, Santa Barbara, Oxnard, Guadalupe, Pismo Beach, San Luis Obispo, Vallejo, and other towns will also hold similar affairs. In Alvarado a well managed literary-musical program and dance will be held by the residents of Northwestern Alameda and Contra Costa Counties at the Portuguese hall. Participants in the program are well known radio singers and speakers. Major John Haar of Hayward has been contacted as the guest of the evening. The more than ten thousand residents in the Santa Clara, Santa Cruz, Monterey sector will spend their Independence Day rejoicing at three places—San Jose, Watsonville and Salinas. The Watsonville people will hold their banquet and literary program at the famous Hotel Resetar on Wednesday evening. July 3rd. President Benny Tabangeay of the community there has secured the services of many talented and well known groups to participate in the program. Mayor Baker of the city will be the guest speaker while Ireno Cabatit, official representative of the Resident Commissioner's office, will be present to deliver the message of that office. The other parts of the program are invocation by Rev. Critchon, selections by orchestra, introductory remarks by Eddie Castro, vocal solo by Helen Cupal, welcome address by the president, vocals by Dolores Catall, and selection by orchestra. At San Jose, the community will hold an open-air, all-day grand picnic. From ten in the morning to six in the evening the frolickers will enjoy watching the many different athletic contests such as juego de anillo on bicycles, indoor baseball and volleyball (between Mexican and Pinoy teams), track and field events and ping pong tournaments. There will also be a dance contest. All winners in the athletic and dance contests will be awarded handsome prizes…The day's program are invocation by Rev. Callao, piano solo by Rebecca Austria, violin solo by Fred Moribus, vocal solo by Pacita Totod, carinosa dance by Henrietta and Godie Villarruz and Jennie and Rosita Paras: piano selection by Jorge Moribus, and speech by Pres. Primo Villarruz. Another folk dance featuring the "planting Rice" is also in the program. Scene of the all-day picnic where everything will be given free is the Swiss American Club. Undoubtedly the most colorful celebration to be staged in central California on that day is the Salinas Filipino affair. General Chairman Johnny Cacas and his energetic subordinates have been busy putting the finishing touches on their show. They plan to hold all-day and all-night affairs. During the day a big picnic will be held at the Sherwood Park, near the Rodeo Grounds with different athletic tournaments. Select volleyball and softball teams from this area will face the formidable clubs from San Francisco and Guadalupe. The girl's volleyball team under the managerialship of Estela Ben is expected to provide lots of thrills and excitement as the members are known to be "ambidezterous Amazona." Ping pong and tennis will also be contested upon. Chows, consisting of lechons, fried chicken, Philippine delicacies and unlimited soft drinks will be offered to the public for free consumption. The main feature of the daylight activity is the flag raising ceremonies which will be undertaken by the members of the Fil-American Legion Post No. 652. The local American Legion will officiate the ceremony—hoisting the Philippine Flag to the top of the specially constructed pole. The Sherwood picnic will commence at nine in the morning and end at six in the afternoon. The nocturnal celebration will be a literary and grand ball at the Salinas Armory hall starting at eight. Highlights of the evening's occasion will be the coronation of the elected "Miss Philippine Republic" and her Royal Court comprising the Misses Luson, Visayas and Mindanao who were elected by a popular vote during the community's last dance held on June 29th. Folk dances hitherto unseen in these parts will be danced by trained participants. The Rigodon de Honor, the national dance of the Philippines will make its initial debut that night. It will be performed by married couples in the valley. Another folk dance featuring the young children in the town will also be shown. Vocal rendition by locally known artists such as Gloria Abarquez, Dolores Catalla, Mrs. Ramona Lozada and Mrs. Maxima Sampayan are also listed in the night's entertainment. The popular Mayor of the city of Salinas, George Taylor, has been unanimously selected to be the Guest of Honor. Manuel Luz, President of the Community and commander of the Fil-American Legion Post No.652 will also give a brief talk. Assisting the general chairman in this celebration are Treasurer Philip Ben, vice-president Pantaleon Espejo, Alejandro Barnachia, Auditor Leon de Asis and MRS. PAULINA MORALES. Philip Sun is the chairman of the Program Committee, while Abe Aquino and Silverio Recta are in the Social Committee. “You Are My Sunshine” was the lullaby sung in England by Police Constable John William Frederick Adshead, aka P.C. 49, in the village of Hawkesbury Upton, Gloucestershire. Each evening the Home Guard reported to him at his home, which was near the village police station. One of his main responsibilities was making sure they were completely blacked out at night to help lessen the chance of Nazi bombing runs—a nightly occurrence. His daughter Jennifer was young, about five years old, and would hide under the dining room table that was covered with red velvet cloth with tassels, where she could also hear the adults give their reports. Everyone drank tea made by Jen’s Mum (Violet Mary Robbins), and listened to the wireless. Promptly at 9 p.m. a voice would say "this is London." One of the Home Guard chaps would always say "Oh, its still there then." London is about eighty miles east of the village. Jen’s father—a stern police/military/British stiff-upper-lip kind of guy, would put Jen to bed after the nightly meetings, and sing her to sleep. The nightly lullaby was, "You Are My Sunshine." One night, after she'd gone to sleep, he came upstairs and woke her, and carried her downstairs and into the garden crying the whole time. Jen had never seen her father cry, and she never would again. He asked her to look and tell what she saw. "Red and green lights on the wings of the planes. And the lights of the town were all on, every home, every building." He asked, "Do you know what that means?" "It means the war is over. It means the war is over." And he sang his precious little girl “You Are My Sunshine.” It was Victory in Europe—VE Day. On that very day, at almost that very moment, Maestro Herbert Zipper finished conducting a concert of Beethoven at the bombed-out shell of the Church of Santa Cruz in Manila to celebrate the liberation of Manila and the few surviving members of his family from the German concentration camps. Before World War II began, Maestro Zipper had actually been in two of the worst concentration camps in Germany. For example, one night the prisoners were forced to stand outside in 20-degree below zero weather for nineteen hours wearing a thin pajama. Twenty-five percent of them died. During a very brief window, his father got visas for Herbert and his brother, and ransomed them from the death camps. Herbert joined his beloved in Manila, where he was hired to lead the symphony. Shortly thereafter the Japanese Imperial Army invaded the Philippines, and their commander ordered Maestro Zipper to play a concert for his troops. He refused to cooperate, and instead hid the instruments and key musicians, and was thrown in jail. Released after several months, he spent the rest of the war working for the underground guerilla efforts. In later life, Maestro Zipper found himself in the middle of the Tiananmen Square revolt in China and the Los Angeles riots, where he brought healing music to troubled times. Reports say his orchestra’s rendition of Beethoven’s Eroica was heartbreakingly magnificent. At the end of the concert a scratchy record was playing "You Are My Sunshine" in the distance. And first one musician, then another, then the whole orchestra played "You Are My Sunshine." In the course of completing the “Japantown in Chinatown” composition, I interviewed Joe Yasutake at the suggestion of Aggie Idemoto, President of the Japanese American Museum of San Jose. The interview centered around the “Voices of the Issei” sculpture in the heart of Japantown, which sets forth some core values of the Japanese American community, and is discussed in more detail in the section beginning on page 227. At the end of the conversation he asked me if I had ever heard of Chiune Sugihara, who saved thousands of Jewish refugees during World War II. Neither myself nor any of my Jewish friends and family, including several with intense study of this area, had ever heard of him. Incredibly, forty thousand or more people owe their lives to the Sugihara family. Detailed information on the Sugihara story is contained in Appendix VI. I wondered if there was a similar story in Filipino history. The book Escape to Manila by Frank Ephraim discusses the 1,600 Jews who escaped from Nazi Germany to the Philippines. It talks about the concert of Beethoven—including Ode to Joy, one of the same pieces Leonard Bernstein conducted to celebrate the fall of the Berlin Wall—Herbert Zipper conducted in Manila the day after Allied victory over Germany. The text mentions that “You Are My Sunshine” had sprung up overnight as the unofficial anthem of the Philippines. Herbert Zipper (April 24, 1904, in Vienna, Austria—April 21, 1997, in Santa Monica, California) was an internationally renowned composer, conductor, and arts activist. He grew up in an affluent Jewish family in Vienna, the cultural center of Europe, where he and his family rubbed shoulders with many of the leading writers and artists of the time. On May 27, 1938, Herbert and two of his brothers were arrested in their home and sent to Dachau Concentration Camp. Zipper would spend a horrifying year in this camp, but instead of sinking into despair, he used the experience to develop his character and his love for humanity, often volunteering for the most demeaning of jobs. It also became a time for him to explore the true meaning of art in human lives, and he discovered not only the immense power of the arts, but the joy of giving. While in Dachau, Zipper used music and poetry to bolster the spirits of the other inmates. He eventually gathered a group of approximately fourteen prisoner musicians and instruments to form a motley crew orchestra for which he composed music. The orchestra held secret rehearsals and concerts on Sundays in an unused latrine. Zipper said that the concerts were not for entertainment, but a means of keeping alive some small measure of civilization and of restoring value to their lives. While at Dachau, Zipper encountered the poet and writer Jura Soyfer, whom he had known in Vienna. Together they wrote a song “Dachau Lied,” that was passed through the camp and eventually made its way to other camps providing strength and hope to the prisoners. Later at Buchenwald, Zipper was working on the typhoid fever detail when Soyfer fell ill and eventually succumbed to the disease. The inmates on the detail had not been given proper protection nor even clean water to wash themselves and many contracted typhoid fever as a result. It was Zipper's responsibility to carry the victims to be buried. Herbert wrapped his friend in the proscribed paper shirt and placed him in the box for the unceremonious burial. On September 23, 1938, Zipper was transferred to Buchenwald because of overcrowding at Dachau. Zipper and his brothers were fortunate that during their arrest, their father Emil Zipper had been in London trying to secure documents for the family to leave Austria. Emil was eventually able to secure the release of his sons [something that would be impossible within a year]. Zipper and his brothers were released on February 21, 1939, and returned home to Vienna. Zipper and one of his brothers traveled to join the rest of the family on March 16 in Paris. On May 3 of that year, Zipper received a call from the Philippines asking if he would accept the position of conductor of the Manila Symphony Orchestra. Zipper’s fiancée, renowned dancer Trudl Dubsky, had been working in Manila since 1937 and had recommended him for the post. Zipper accepted and joined Trudl in Manila, where they were married on October 1, 1939. Although the orchestra was of poor quality, Zipper’s skill and enthusiasm soon led to successful concerts. Then disaster struck. The Japanese invaded Manila, and Zipper found himself a prisoner again. After four months of imprisonment and interrogations, he was released, and he and Trudl spent the next few years helping friends and trying to stay alive, having lost what few belongings they had accumulated. Zipper made many friends while in Manila, including General MacArthur's wife, who helped him organize a victory concert after the Allies liberated the island. The Zippers had many brushes with death during the thirty-day Battle of Manila. On more than one occasion the buildings they occupied were directly hit by artillery shells. On February 26, 1945, at 4 a.m., Herbert left their seven-story, partially destroyed, apartment building to fetch the daily water. Recognizing an opportunity to make a run for American front lines, Zipper crossed battle lines to reach American troops. There he learned that the apartment building was scheduled to be razed to the ground by artillery bombardment in fifteen minutes. Zipper exclaimed that the building could not be shelled as it was occupied by eight hundred to a thousand civilians and there were no enemy troops. The bombardment was delayed for forty-five minutes and Zipper hastened back to begin the evacuation. He saved the lives of everyone in the apartment building, including his wife Trudl. As an internee at Dachau, Herbert Zipper vowed that he would one day commemorate the downfall of Adolf Hitler and the Nazi regime with a performance of Beethoven's Third Symphony, "Eroica." One of a very few of Herbert's possessions to survive the Battle of Manila was his musical score for the Eroica, as he had carried it with him at all times during the intense battle. With the arrival of American forces on Luzon Island, Zipper set out reorganizing his disbanded orchestra, but some members of the orchestra had not survived the Battle of Manila, including concertmaster Ernesto Vajello. Like a phoenix from the ashes, the orchestra coalesced in the ruins of Santa Cruz Cathedral for the performance. War correspondent William J. Dunn, who reviewed the concert, recorded that on May 10, 1945, Herbert Zipper fulfilled the vow he had conceived at Dachau more than a decade prior. News of the fall of the Nazi regime reached Zipper the day following the concert. He had fulfilled his vow in the ruins of Manila. 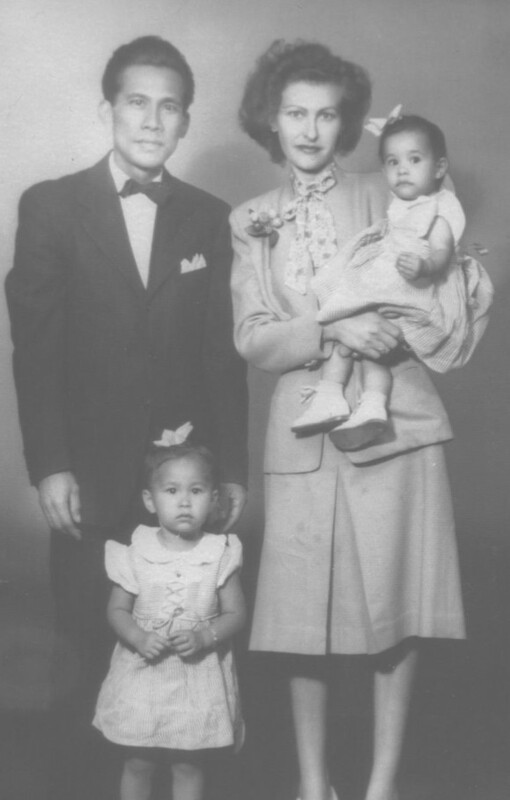 In 1946, Zipper and his wife joined the rest of his family in the United States. His main reason for the trip was a fundraising mission for the Philippine Cultural Rehabilitation Program that he had helped start. After only a few months, he received word that the program had been put on hold. While that project stalled, Zipper became burdened for what he saw as a deficit in arts education in U.S. schools and embarked on what would be his major life work—to help start community arts programs. In 1947, Zipper was offered a teaching post at The New School for Social Research in New York that had been founded in 1918 by Alvin Johnson, as one of the country’s first adult education centers. Over the next few decades, Zipper went on to start many community art centers throughout the country. He also worked on reviving the disbanded Brooklyn Symphony, a group which had not been active since their conductor Sir Thomas Beecham returned to England. Zipper’s role of conductor with the Brooklyn Symphony focused much of their work on school outreach programs while Zipper became increasingly involved in championing racial equality, social justice, and environmental causes. In 1953, Zipper took the position of director of the Winnetka School of Music in Chicago where he worked during the main school year and then returned to Manila each summer to conduct a summer concert series. Winnetka was a community art school that served children and adults in afternoon and evening programs. In 1954, through a large fundraising effort, the school was moved to a better location, expanded, and renamed the Music Center of North Shore. Through this school, Zipper organized a professional orchestra whose purpose was to play concerts in public schools. In 1972, Zipper took a job in California as the project director for the School of Performing Arts at USC. His beloved wife and partner Trudl died in 1976 of lung cancer. Despite his grief, Zipper continued his zeal for the arts and in the early 1980s began trips to China where he served as a teacher, arts advocate, and conductor. Zipper remained active in the arts until his death in 1997 at age ninety-two. He was the subject of the Oscar-nominated documentary Never Give Up: The 20th Century Odyssey of Herbert Zipper.